In this section the subject of railroad jobs and careers is highlighted. As the website has grown I have steadily received evermore questions regarding this very subject. There have also been many inquiries regarding possible openings here at American-Rails.com. Please let me stress that this website is not a railroad company, is not affiliated with any railroad or railroad-related business in any way, and does not have any positions available for hiring. - The information provided here is to help job researchers in the process of a finding employment within the industry by listing contact information on a state-by-state basis. There are also articles highlighting specific fields such as engineers, conductors, signal maintainers, etc. For questions concerning potential openings please contact the company in question. Finally, to learn more about working in the industry consider the book, "Working On the Railroad," by author Brian Solomon. The title offers an introductory look and historical perspective about the field. It only provides a brief synopsis but nevertheless should answer many of your questions about railroads and its many well-known careers. 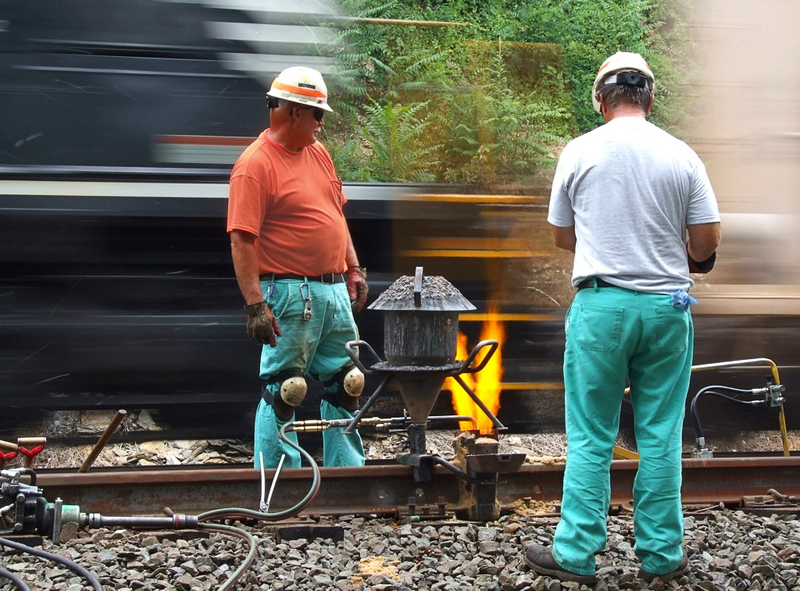 If you are interested in working for the railroad you will be entering one of America's oldest professions with a heritage dating back to the Granite Railway of Massachusetts (1826). The iron horse is credited with transforming this country into an industrial powerhouse. While the Granite Railway is recognized as the very first, the Baltimore & Ohio's chartering in 1827 created the first modern common-carrier (defined as a company which offers transportation services to the general public and must be willing to haul any legal goods, or persons, for compensation). The industry peaked during its "Golden Age," which lasted roughly from the 1880's through World War I. The national network also reached its zenith at this time when, in 1916, 254,037 miles of steel crisscrossed the continent serving the smallest towns to largest cities. As John Stover notes in his book, "The Routledge Historical Atlas Of The American Railroads" (New York: Routledge, 1999), many other records were broken that year including number of employees (1.701 million), intercity freight traffic (77%), and intercity passenger business (98%). Railroad employment reached its highest point in 1920 when Mr. Solomon points out that 2.2 million individuals were working for the industry in some capacity, equaling 7.25% of the labor force. Today, according to the Association of American Railroads there are only 166,000 employees. An often forgotten industry was the interurban. In a time before the automobile, at the turn of the 20th century, it blossomed into a major rapid transit network, linking much of the Midwest and East (as well as parts of the West) with electrically-operated service. Unfortunately, it suffered serious limitations in competition against standard steam railroads, such as inferior rights-of-way (some of which ran along public roadways), steep grades, and lack of a significant carload freight business. However, this did not stop investors from spending millions in their development. In their book, "The Electric Interurban Railways In America," authors Dr. George Hilton and John Due note that the network peaked at 16,100 miles by the World War I era. As a result there were several thousand employed within this industry, jobs that ranged from track maintenance, mechanics, and motormen (an individual who operated the electrified cars/locomotives) to signal maintainers, dispatchers, and agents. Alas, Henry Ford's Model-T doomed an industry which already suffered serious limitations and a high operating ratio. Many interurbans were abandoned after the Great Depression of 1929 and virtually no new mileage was constructed. By the end of World War II only a few thousands remained in use, largely by those systems which had developed a substantial freight business. The advent of electronics and computers has changed the face of railroading drastically over the last 50 years. The use of such technologies have allowed companies to vastly downsize their workforce and remove many trackside structures such as interlocking towers, depots, section houses (buildings once situated at various points which housed track workers), wayside telephones/booths (used to call the nearest dispatcher), and other various shanties. These have been eliminated and centralized; all Class I carriers, and even smaller freight lines, usually operate only one, or a few, dispatching centers which govern the entire network. Years ago this was not the case as railroads maintained numerous dispatching locations which protected only sections of a particular corridor. This has also abolished the ubiquitous agent, individuals once stationed at depots across the country to provide train crews paper train orders in territory not protected by Centralized Traffic Control (CTC). The art of grabbing orders was a time-honored tradition in which crewmen took great pride. Surprisingly, it was still practiced in some areas through the 1980's! Except for signal stands/bridges, railroad rights-of-way have become increasingly barren over the years as structures previously mentioned were no longer needed. Improvements in locomotive technology have also resulted in the removal of others, such as coaling towers, water tanks, and roundhouses. All three were needed in the days of steam to keep a locomotive fueled and in operation: coaling towers were large monolith-like buildings, filled with coal and situated at various points; the water tank was even more numerous as locomotives could travel no more than a 100 miles before requiring refreshment; finally, the roundhouse provided a stable where the machines could not only be turned (since they cannot easily be operated in both directions) but also maintained if light work was needed (all heavy work was performed at a major shops complex where the locomotive could be entirely disassembled and rebuilt). Steam locomotives were one reason why railroads employed millions as it required an army to keep them in proper working order. The diesel changed all that; it could operate further, more efficiently and was single-handedly responsible for the elimination of the roundhouse, water tank, and coaling tower. The number of maintenance personnel was also greatly reduced. Another area which required many men was track maintenance, employing hundreds of thousands (especially during the 19th century) to keep the rights-of-way, rails, and ballast up to proper standards so trains could run safely and on-time. However, as mechanization took hold these positions were slowly eliminated. While the upfront capital to purchase machines was expensive, railroads soon realized they quickly paid for themselves. As the old phrase goes, time is money, and devices such as Jordan Spreaders, Ballast Regulators, Spike Inserters/Pullers, Tampers, and Tie Cranes could perform such work much, much faster than a traditional maintenance-of-way gang using picks, shovels, and tie tongs. 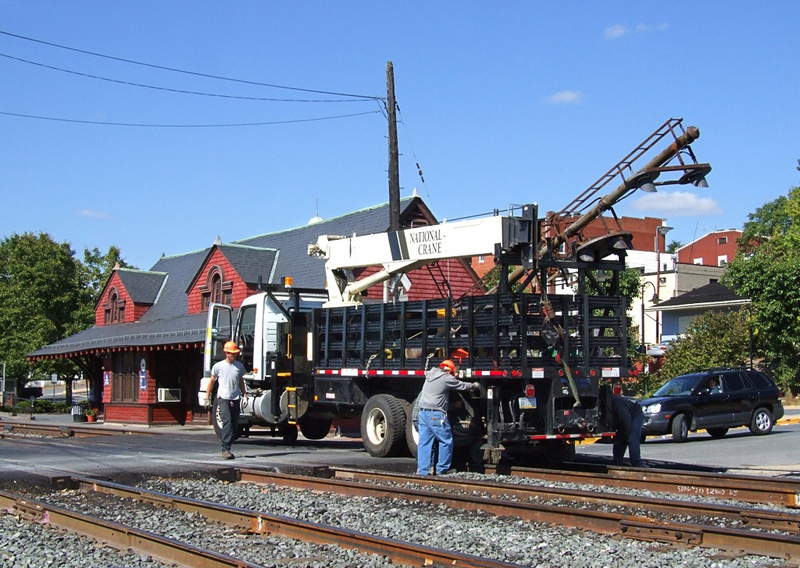 Interestingly, in today's highly mechanized world, physical labor has been almost entirely eliminated from track maintenance unless only a quick repair/replacement is needed. It is simply too time consuming and expensive to have such work performed manually, even for small short lines and tourist attractions. Through a combination of new competition (highways and airlines) and severe government regulation railroads slowly declined over the next several decades with only a brief traffic recovery occurring during World War II. There were two primary factors for such high employment at that time. First, before mechanization and computers an army of workers were needed to maintain the right-of-way, ensuring trains arrived on-time and at the proper destination. Second, during the steam era locomotives required three crewmen on the head-end (engineer, brakeman, and fireman) and two in the caboose (conductor and flagman) to ensure safe operation. Things were somewhat different on a passenger train where the crew stayed either in the locomotive or on-board. The head-conductor in this case was always well-dressed and pulled double-duty overseeing the train and attending to passengers' needs. For purposes of this section the topic of crewmen, or those working in the field, will be highlighted (signal maintainers, roadmaster, laborer, etc.). If you are interested in a management field or eventually attaining that position please visit a Class I's website regarding either their trainee or internship programs. Railroading today has changed much since the era predating World War II. A contemporary freight crew generally includes only two individuals, the engineer and conductor, while passenger trains are no longer operated by private companies. In addition, new technologies like computers, diesels, and heavy machinery have replaced much of the human element. When the steam locomotive disappeared in the 1950's, followed by the introduction of the "FRED" (Flashing Rear End Device) or end-of-train device (EOT, it monitors a train's air brakes from the rear car and contains a flashing red light for safety purposes), there was no longer a need for the fireman or flagman (the brakeman occasionally is still utilized). 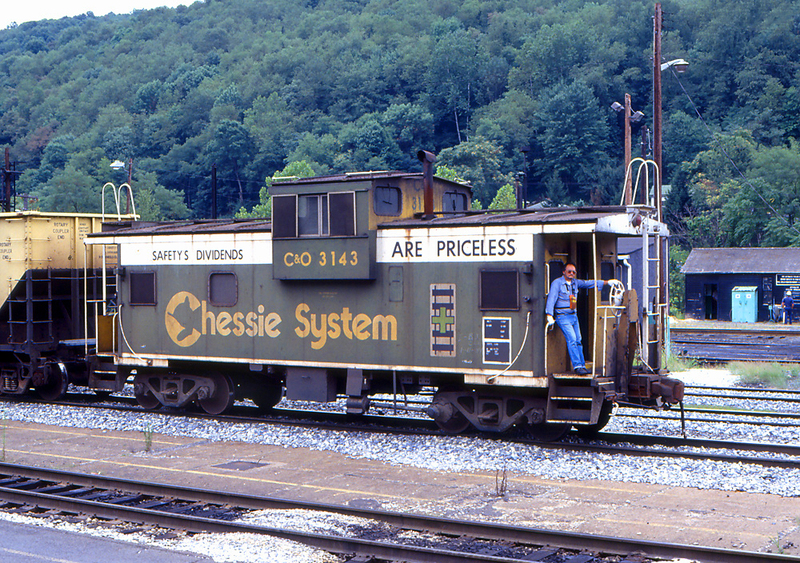 The FRED also led to the caboose's removal in the 1980's while the conductor was transferred to the head-end. This beloved car was extremely expensive to maintain and railroads were happy to see it go. Another important improvement was the introduction of wireless radio in the 1960's. Before its introduction crews and dispatchers had no way of keeping in direct contact (The PRR is most well-known for operating its "Trainphone" before wireless radio was introduced. The system used electromagnetic induction with large antennas attached to locomotives and cabooses, not radio waves, for instant communication.). While safety on the job is paramount in today's railroad industry, this was not always the case. The 19th century was defined by the hubris of magnates only interested in further enriching themselves. As a result, and with little government regulation, these tycoons refused to implement most types of safety equipment, despite George Westinghouse's invention of the automatic air brake in 1869 and Eli Janney's automatic coupler of 1873. These devices were so revolutionary they remain in regular use today. However, it took government oversight to force moguls into actually spending the necessary money to see their implementation. As Mr. Solomon notes in his book, "By the mid-1870s, railroad accidents had become commonplace and serious collisions occurred on a weekly basis...During this wild and dangerous time, thousands of railroaders lost their lives every year, and many more were injured and maimed." The wanton disrespect for life was appalling; they cared little for their workers and was happy to replace them on a weekly, or even daily, basis if killed on the job. They also had no respect the average worker's well-being and employment. Railroading was an extremely hazardous occupation in the 19th century,made worse following the severe financial Panic of 1873, which left the country in one of its worst economic times. It was caused largely by the Jay Cooke & Company's failure, a banking firm which held millions in Northern Pacific Railway bonds. As a result, a domino effect ensued that eventually resulted in some 115 railroads going bankrupt by 1874. A year later a total of 18,000 businesses had either closed or entered reorganization. In his book, "The Great Labor Uprising Of 1877," author Philip S. Foner details the struggles of many workers during that decade (the depression would last until the spring of 1879). During these times there were few labor unions and those which did exist carried little power to protect their members' jobs. As the Brother of Locomotive Engineers put it, then the country's only true railroad union: "Are not railway employees in this year of grace, 1873, enduring a tyranny compared with which British taxation in colonial days was as nothing, and of which the crack of the slave whip is only a fair type?" The 1870's economic woes resulted in many railroaders' salaries cut to the point they could no longer afford to feed their families. As a result, it sparked what now has been recognized as the "Great Railroad Strike of 1877" (originally referred to as the "Great Uprising"). It all began between November, 1873 and July, 1874 when many workers struck following an initial round of pay cuts carried out on 18 different railroads located east of the Mississippi River. However, these events lasted only for a few weeks and neither garnered national attention nor resulted in serious violence. But as the depression deepened and the cuts continued it reached a crescendo during the spring through early summer of 1877. The railroads which carried out these latest pay cuts included the Missouri Pacific; Pennsylvania; Lehigh Valley; Delaware, Lacakwanna & Western; Michigan Southern; Indianapolis & St. Louis; Vandalia; New York Central & Hudson River; Northern Central; Baltimore & Ohio; Northern Pacific; and Chicago, Burlington & Quincy. The strikes began on the B&O just before noon on July 16th at Camden Junction, Maryland (Baltimore). Later that day they spread to Martinsburg, West Virginia, the location of a major B&O shops complex. It then continued on to numerous other systems where workers, from firemen to engineers, sought restoration of their previous wages. Alas, in the end their efforts proved futile and resulted in neither arbitration nor restitution. The powerful and arrogant corporate machine crushed the strikers by force when company presidents successfully procured the help of federal troops and state militias; in the most famous incidents 11 were killed in Baltimore, 42 in Pittsburgh, and 12 in Reading (Pennsylvania) when armed personnel shot unarmed citizens in what were deemed "riots" and "mobs" even though the protests had largely been peaceful. The railroads' power continued throughout the 19th century as upper management refused listening to workers' grievances. The "Great Strike," although a failure, ultimately proved the catalyst for change. Achieving widespread sympathy from their local communities, the public at large, and other laborers, strikes for better pay/working conditions were carried out across various industries. These efforts eventually led to strong federal support for organized labor, particularly following the Pullman Strike of 1894. More legislation would follow into the 20th century, resulting in strong union support that minimized railroads' and corporations' draconian rule over their employees. Around the same time, Congress began mandating implementation numerous safety standards to reduce deaths and injuries on the job. In time, these effort, and others, made the industry a much safer place for both employees and passengers. The first move involved the elimination of strap-iron rail which could cause deadly "snake heads," capable of killing or maiming travelers by working lose from their wooden support bases and tearing through a car's wooden floor. Next, Congress passed the Railway Safety Appliance Act in 1893 mandating all rail cars be equipped with both Westinghouse's automatic air brake and Eli Hamilton Janney's automatic knuckle-coupler. As mentioned above these devices changed the industry for the better; the former eliminated the brakeman's requirement to travel the cars' catwalks and set each hand-brake manually while the latter no longer necessitated a worker be in two cars' presence during the coupling process (the dreaded "link and pin" system). During the 20th century railroads were also required to operate cars with steel-frames for added structural strength. This was later amended to include all-steel body cars. While I do have a little knowledge on general railroad subjects please let me stress I have never worked in the industry and therefore probably cannot answer any job-specific questions you may have. For that you will need to contact the company in question; each have their own hiring practices and work-related/corporate rules. If you have never been employed within this industry such a career is not for the faint of heart. The backbreaking work of replacing ties, spikes and rails by hand is largely a thing of the past. You will also find newer locomotives often feature creature comforts like air-conditioning and heat. However, many of the elements that have led many to state such a career is like a marriage still hold true. Train crewmen regularly work long hours and can be called out at any time of day. Nevertheless, there is a great pride among railroaders, many of whom not only enjoy their career but also are third or fourth generation employees whose grandfathers and great grandfathers worked for legendary names like the New York Central, Pennsylvania, Great Northern, Baltimore & Ohio, and Santa Fe. While a more predictable work schedule does come with seniority, don’t expect it to occur within a short period of time. Some folks wait 20 years or more to land a "9 to 5" workday, which usually consists of yard assignments or "local" jobs (a short freight serving centralized customers within a specific area). Long hours and days away from loved ones are typical on the big Class I railroads. However, if qualified you can sometimes find openings on short lines (Class IIIs) and regionals (Class IIs). These smaller carriers do not carry the earnings potential of Class I's (which sometimes can reach six figures) but they do offer a more predictable schedule with fewer hours. 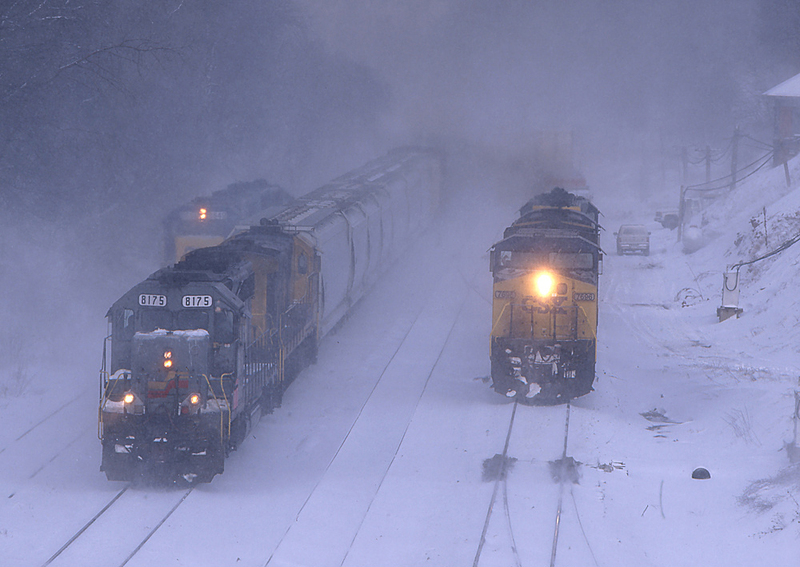 Some of the greatest perks railroad jobs offer are simply the little things. Because most routes cut straight through the wilderness the views are spectacular. And, if you enjoy being your own boss this line of work, in a way, provides it. During long runs its essentially just you and your conductor/engineer in the cab until your 12-hour shift. Finally, retirement benefits are perhaps the best of any industry, thanks in large part to the Railroad Retirement Act. It was established in 1935 as a trust fund that railroader’s pay into, entirely separate from the Social Security system. The pages here will direct you to further information regarding several different careers such as engineers, conductors, maintenance, etc.